In the writing world words are the thing. So when people tell us writers we need (nay, require) better blog post images we recoil in shock. What now!? But I’m a writer! I cannot! Even! And a few years ago I would have commiserated with you. Because there was a learning curve if you weren’t a professional photographer—you have to learn design and of course then you had to figure out Photoshop (and pay for it). If you gave up on taking photos yourself then you entered the world of stock photography and, a few years ago, the cost was high and the competition was low. But the story is tres different today. There are so many tools available to non-designers and non-photographers it’s time to accept your need for better blog post images and hop on the bus. For creating better blog post images I recommend Canva to anyone who asks. It’s a free design tool for non-designers—and it’s so easy to use. It’s in the cloud so you don’t have to download anything and you can use it from anywhere, including your mobile. You can design your own graphics if you’re inclined, or you can take suggestion from their huge template library. The first thing you should do is figure out a few image templates you’ll use over and over in your blogs. This cuts down on decision fatigue and helps keep your blog brand consistent. Don’t freak out! This is all a part of creating better blog images. Templates are your friend. And remember what I said earlier? 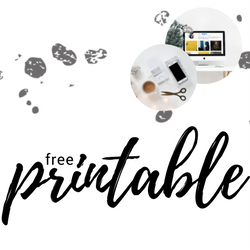 Canva has a massive template library! You’re going to be fine! When building your templates you may get tripped up on fonts, images and colours. Since we’re not design trained I suggest we don’t trust our instincts. At least, that’s what I suggest to myself. Here’s what I do instead. First, you need to choose a font, which is no easy feat. There are bajillions of fonts to choose from. In the link I dropped I’ve offered a few ways to narrow it down but here are the main points: choose something readable and stick with it. Now, when you’re creating images you may want to use a couple different fonts—risky stuff! If you want to spice things up font-wise, use Canva’s free font combinations thingy. Select your main font and let Canva show you what will pair well with it. Done. While you can create graphics without photos there is still a decision to make here—will you be an exclusive image-only blog? Or just graphics? Or a mix of both? Figure out how you want your site to look and go from there. If you’re going with photos, Canva has a large stock photo library—some of which are free to use. There are many, many options online for stock photography these days so you have options if you want to use photos but can’t/don’t want to use your own. Even if you’re not planning on using many photos I still recommend finding a photo style you resonate with (be it nature, lifestyle, flat lay, etc.) as it will help you in your ongoing branding and in colour selection. If you’ve chosen your website or blog branding colours then this isn’t a decision you have to make—stick with your branding. However, if you haven’t done this yet it’s time to pick a palette. And, since we’re not designers, how does one know what colours go together? I use Canva’s colour palette generator every time I need one. And I don’t just use it for my blog images—it’s how I chose my living room colours and how I decide the palettes for my knitting projects! When you find your inspiration image, one that you feel represents the essence of your blog and/or brand, upload it to the colour palette generator and watch it do its magic. Because it’s magical. As a writer, the subject of website images can be overwhelming. The goal of today’s post is to help simplify it—yes you should have images on your blog and yes, I think you can create better blog post images. Here are the highlights. One more thing. You may be interested in my free resource library. This is where I keep my files, downloads, ebooks, worksheets and whatever else I manage to create. I love sharing what I learn and want to keep adding to this library so it becomes a wealth of helpful goodness. This is a free resource but I do require a password to access the library itself. You can get access by popping your email address into the form below. 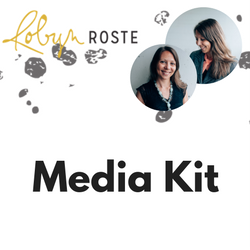 This entry was posted in Blogging, Marketing, The Writing Life, Topics by Robyn Roste. Bookmark the permalink. The short story is I'm a professional writer living and working in Abbotsford, BC Canada. I help agencies, entrepreneurs and small businesses create meaningful connections with their customers.